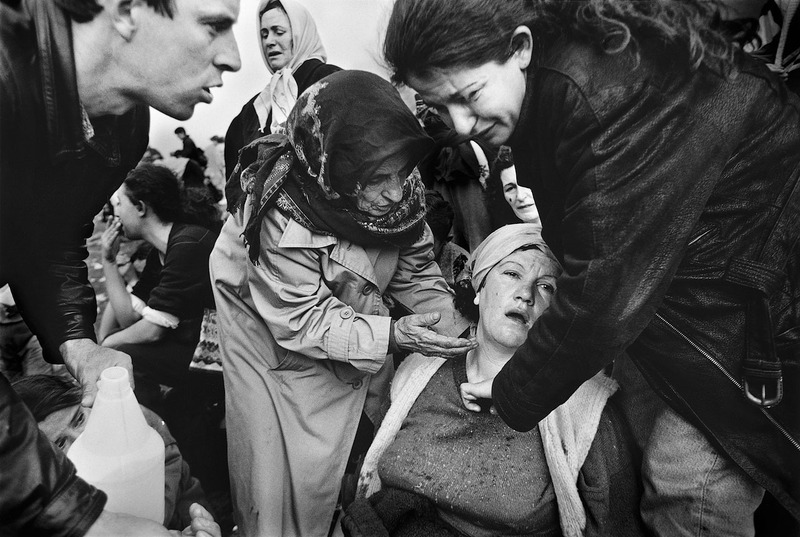 Morina/Albania 5/4-1999 A Kosovar Albanian woman overcome with grief at the border post of Morina. The woman, from the village of Kaqanik, had been seperated from some members of their familly including a girl of 14 and a boy of 15. Serbs forced some familly members into one car others into a different car car and sent them in different directions. Now at the Albanian border, the woman can not stop crying at her loss.